For many lab applications, you want to expand the capability of your CAN tools to include physical I/O. The neoRADI/O device from Intrepid works with any CAN tool to provide low cost physical I/O. This includes 5 Relays, 4 Optically Isolated Digital Inputs, 1 non-isolated Digital Input, 4 x 0-26V 8-bit analog inputs, and 1 x 0-5V 8-bit analog input. All of these functions are accessed using a dual wire CAN network. 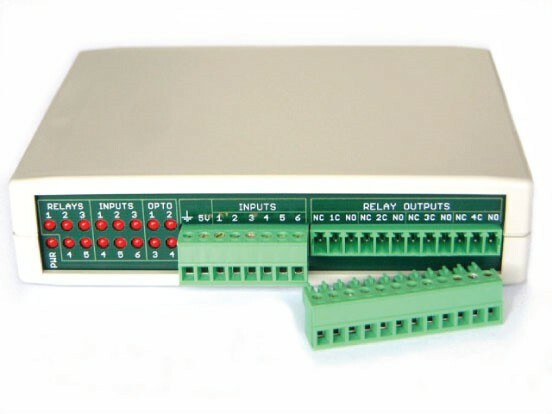 Combined with CAN tools from Intrepid Control Systems, controlling physical I/O is made simple and autonomous. Up to 64 neoRADI/Os can be used on a single CAN network.